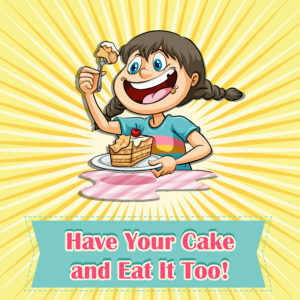 Collateral Source Rule - Prohibiting an Injured Plaintiff from having Its Cake and Eating It too - В сложной финансовой ситуации приходит на помощь кредит наличными в Казахстане. The collateral source rule is the source of unnecessary confusion. This rule is aimed at preventing an injured-plaintiff from having its cake and eating it too – from receiving a windfall from the defendant-tortfeasor based on compensation the plaintiff received from collateral sources. The collateral source rule allows an injured plaintiff to present all of its damages to the trier of fact (jury) irrespective of payment the injured party received from a collateral source (e.g., insurance, social security, etc.). Evidence of payments the injured plaintiff received from a collateral source is inadmissible at trial due to the confusion that could result from the introduction of such evidence. However, the court must later reduce the amount of awarded damages by the amount the injured plaintiff received from collateral sources. The point is to prevent the injured-plaintiff from receiving a windfall. The collateral source rule is embodied in Florida Statute s. 768.76. Check out this link for this statute in detail, a relevant portion which is identified below. “This section abrogated the common law rule prohibiting reduction of damages from collateral source payments in an effort to ‘reduce insurance costs and prevent plaintiffs from receiving windfalls.’” Rasinski v. McCoy, 42 Fla.L.Weekly D1711a (Fla. 5th DCA 2017) citing Joerg v. State Farm Mut. Auto. Ins. Co., 176 So. 3d 1247, 1249 (Fla. 2015). (1) In any action to which this part applies in which liability is admitted or is determined by the trier of fact and in which damages are awarded to compensate the claimant for losses sustained, the court shall reduce the amount of such award by the total of all amounts which have been paid for the benefit of the claimant, or which are otherwise available to the claimant, from all collateral sources; however, there shall be no reduction for collateral sources for which a subrogation or reimbursement right exists. Such reduction shall be offset to the extent of any amount which has been paid, contributed, or forfeited by, or on behalf of, the claimant or members of the claimant’s immediate family to secure her or his right to any collateral source benefit which the claimant is receiving as a result of her or his injury. 1. The United States Social Security Act,except Title XVIII and Title XIX; any federal, state, or local income disability act; or any other public programs providing medical expenses, disability payments, or other similar benefits, except those prohibited by federal law and those expressly excluded by law as collateral sources.